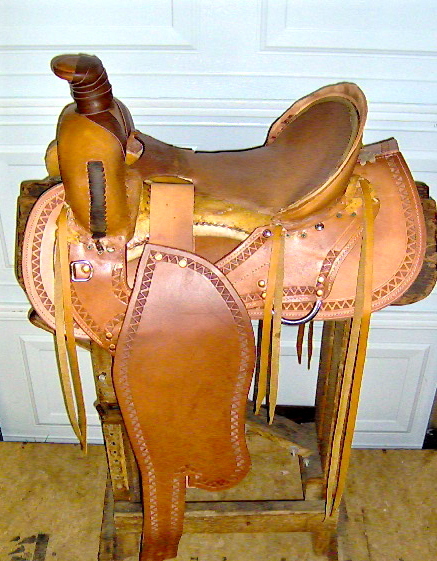 Any style of saddle I make starts at this base price. Built on a fiberglass or rawhide covered tree. With Horse or Mule Bars. 5-year guarantee on tree. 13 to 15 oz. skirting leather. 6 strings bored through the tree. 4" back cinch doubled and stitched. Wrapped horn with rope carrier. 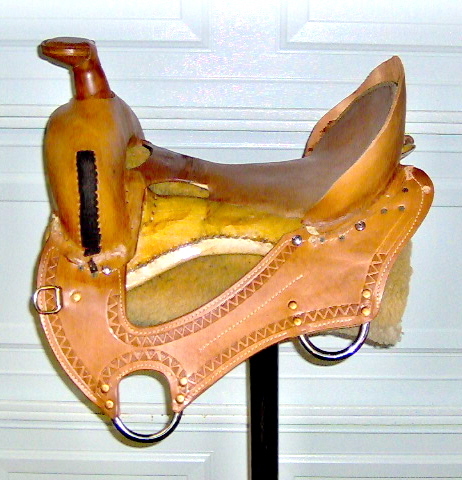 Saddle oiled and stirrups set. Fully rigged and ready to ride. Half down to get saddle started. The balance plus shipping cost upon completion.